It’s the little details that take a meal from good to great. 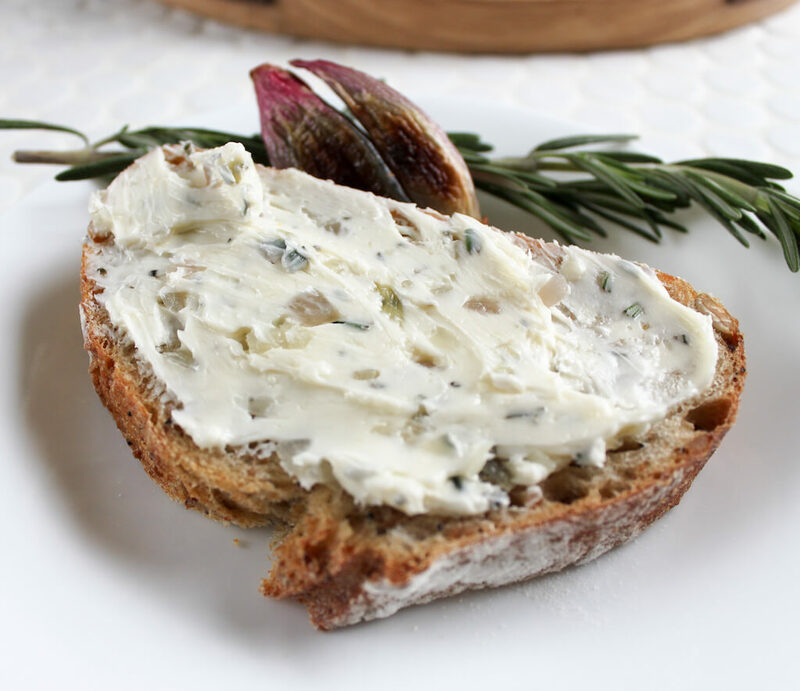 Serving Roasted Shallot and Rosemary Butter in place of plain butter is a great way to elevate any meal. 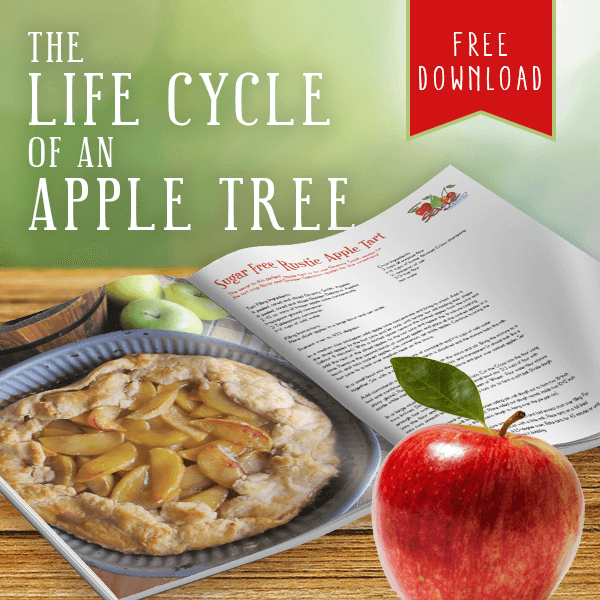 It’s perfect for special occasions and holiday dinners — Easter, Thanksgiving, Christmas — but it’s so easy to make you can serve it at everyday meals too. Along with onions, garlic, chives, scallions and leeks, shallots are part of the allium family. Shallots are similar in flavor to onions but are milder and more delicate. Unlike onions, shallots also have a hint of garlic flavor. Shallots break down during the cooking process easier than onions. This allows their flavor to fully penetrate a dish. 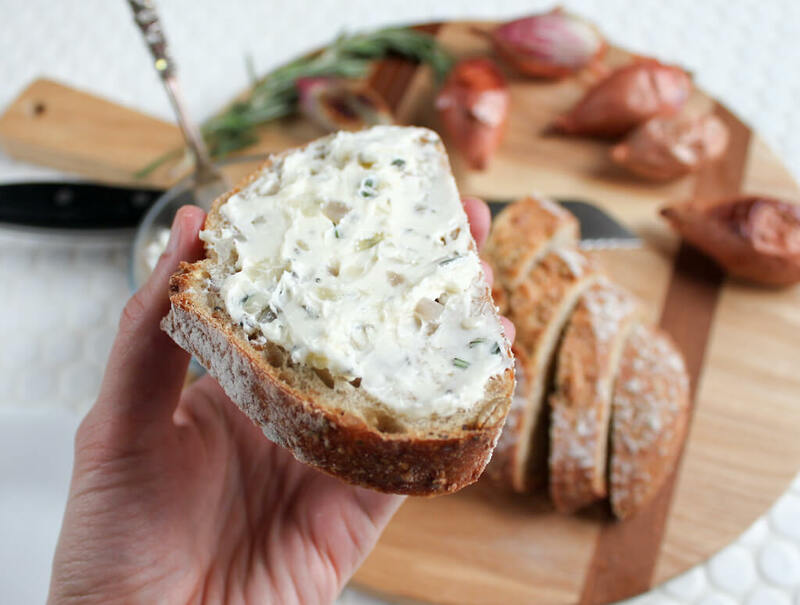 Roasted shallots, which is what this recipe calls for, have a lush, creamy texture — a perfect match for soft, pillowy butter! DID YOU KNOW: Veggies in the allium family contain sulfur compounds that are known for their health benefits including boosting the immune system and curbing inflammation. They even contain antiaging, antibacterial, and antiviral properties. 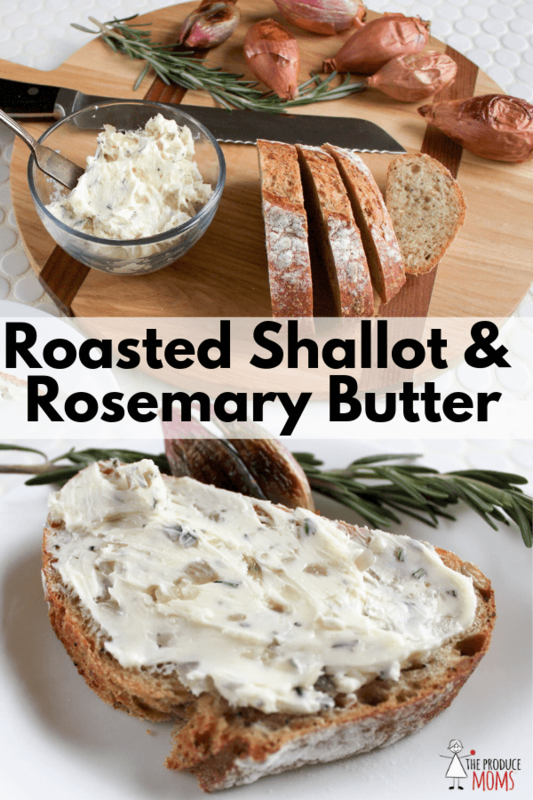 Making Roasted Shallot and Rosemary Butter is simple! Begin by roasting your shallots. This recipe calls for two roasted shallots, but why not make extra to serve in meals all week long? To roast shallots, simply place them whole on a baking sheet lined with parchment paper and roast at 350 degrees for 30 minutes. PRODUCE MOMS TIP: Whole roasted shallots make a great side dish! 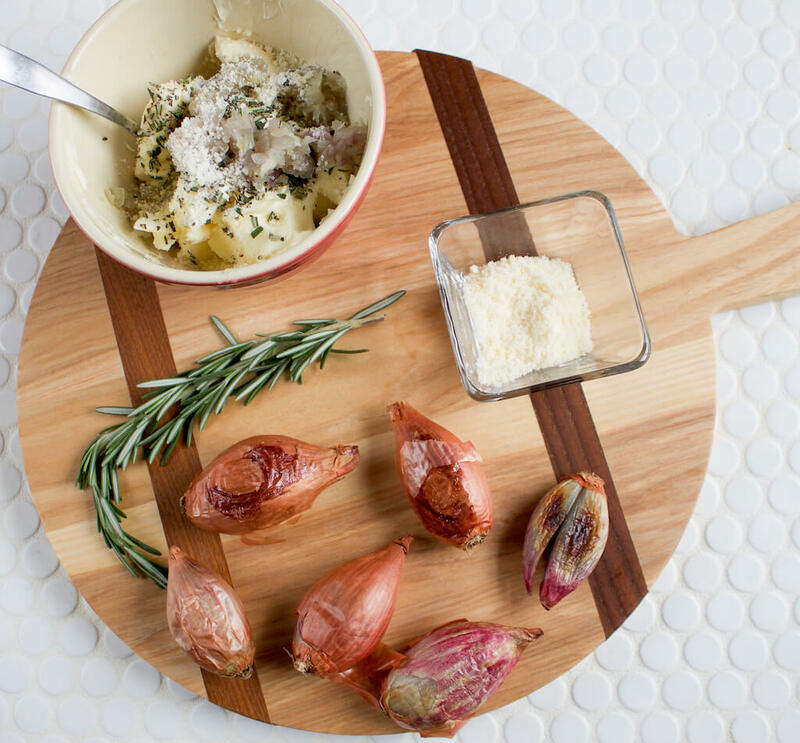 While your shallots are roasting, chop the rosemary and grate your parmesan. Once the shallots are removed from the oven and cooled, dice them up finely. 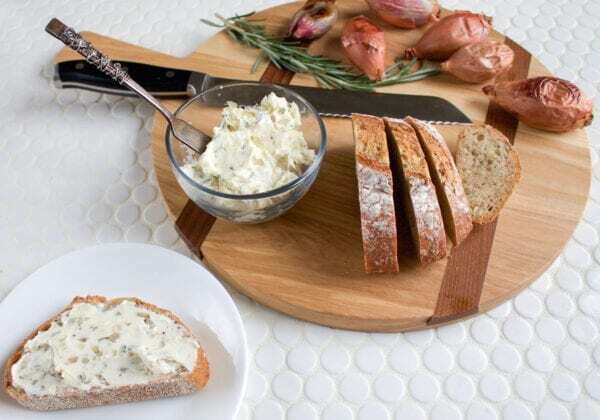 Mix the roasted shallots, cheese, and rosemary into room temperature butter until everything is thoroughly combined. If you’re not going to serve the butter right away, roll it into wax paper and gently press into a log. Twist up the ends of the wax paper and store in the refrigerator. Place shallots on parchment lined sheet pan with skins on. Roast in the oven for 30 minutes. Let cool. Once the shallots have cooled, peel off skins and dice thinly. 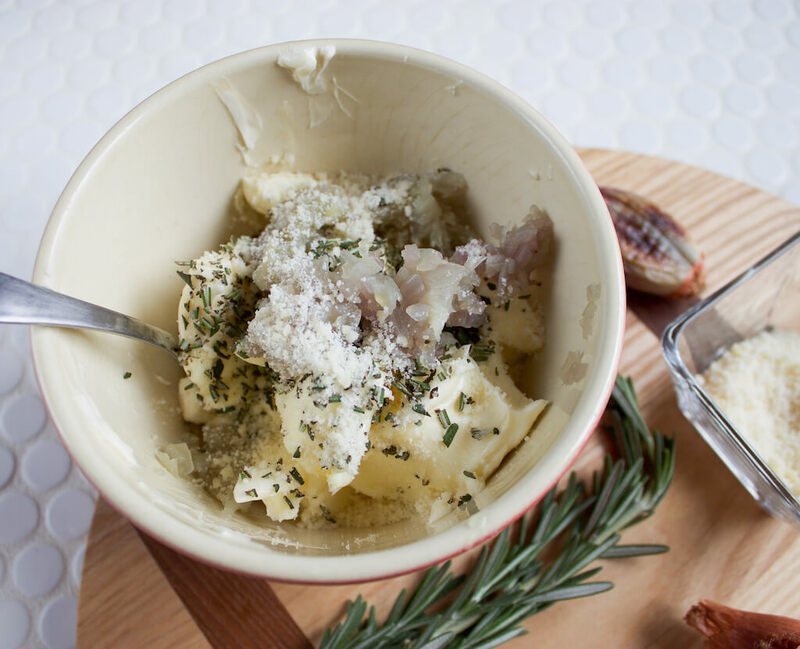 In a small bowl, mix shallots, rosemary, and parmesan cheese into butter until thoroughly combined. 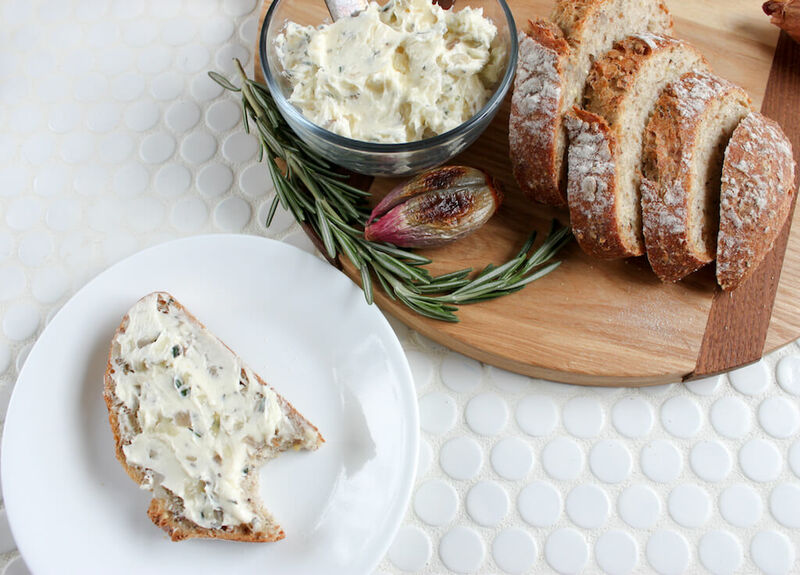 Roasted Shallot and Rosemary Butter can be served any way you want, anytime you want an extra boost of flavor. 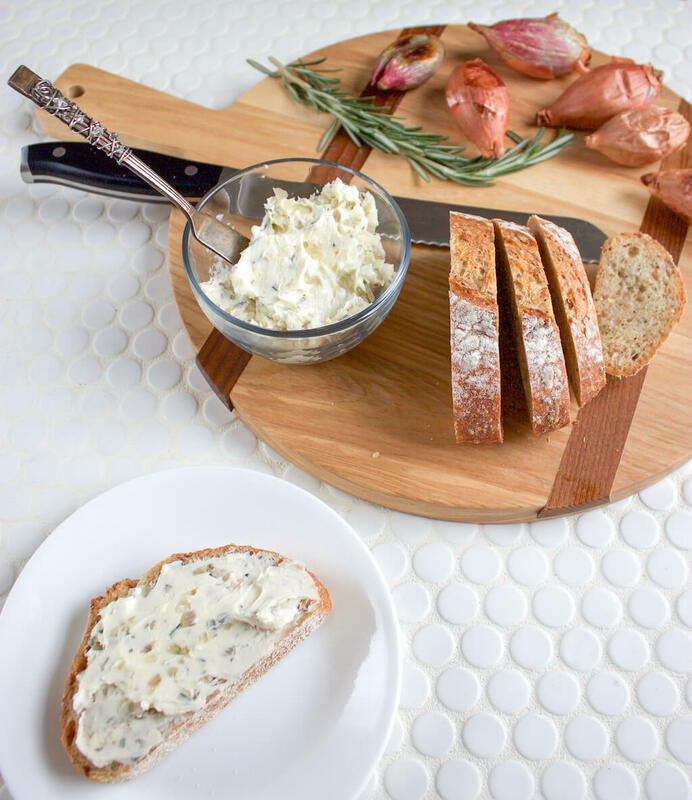 Spread it thickly onto crusty bread or add a dollop to steakhouse baked potatoes. Melt overtop of roasted veggies — it’s especially yummy on root vegetables. Use in place of regular butter to make grilled cheese sandwiches for a truly divine eating experience! 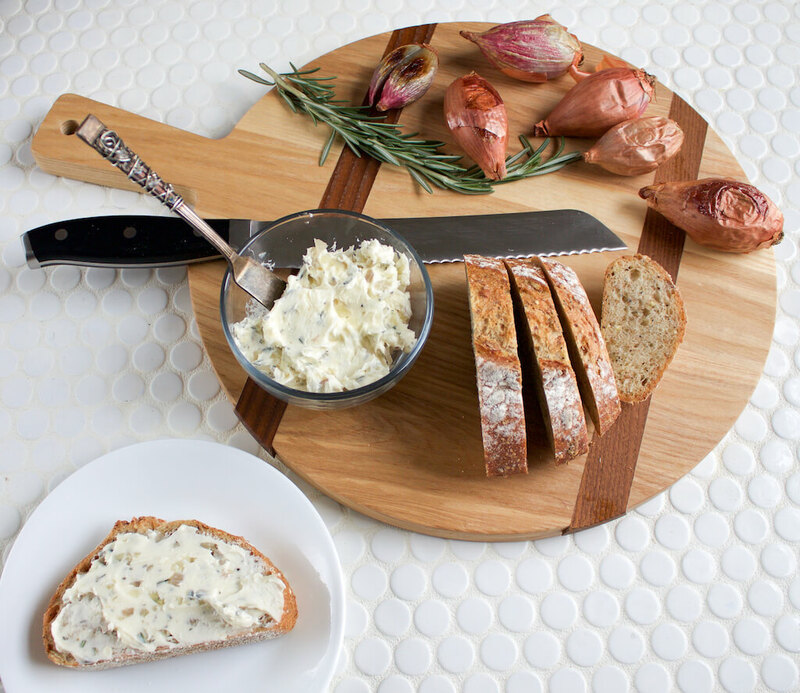 Add shallots to this week’s grocery list and give Roasted Shallot and Rosemary Butter a try. 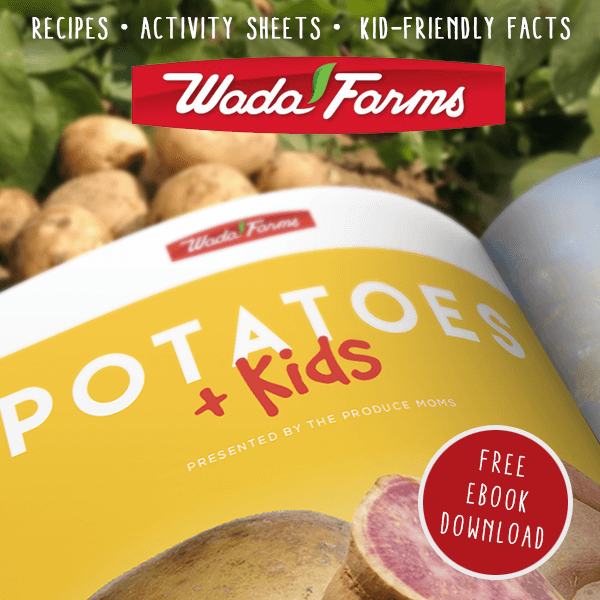 Tag us on Instagram @theproducemoms to let us know how you serve it.